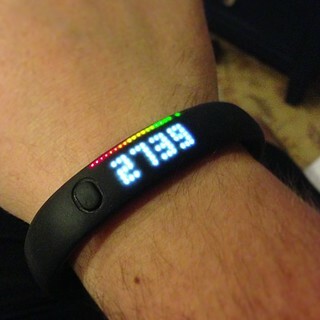 As much as I want it to be, you don’t get thinner or healthier just by wearing a Nike Fuelband. Wearing a computer on your wrist doesn’t magically change your behavior. What’s made the difference has been being intentionally conscious about what my Nike Fuelband is telling me. Everyday, in the afternoon, I make a point of seeing how many steps I’ve taken. At night, I’ll record how many steps I’ve taken in a notebook. I usually shoot for around 5,000. I’ll also record what physical activities I’ve done that day. Like, did I take the dogs for a walk or did I walk to the farther Starbucks from work? I noticed that I walk A LOT less in Las Vegas than I did in DC. In DC, I’d be walking to the bus or from the subway to the office. I’m just not doing that here. I’m spending much more time in the car. It’s too easy to be sedentary. All of a sudden the day slips away and you really haven’t moved around at all. Previous Previous post: eMeals Makes Meal Planning & Grocery Shopping Easy!